When I was little, long before I had a family of my own, one of my responsibilities was cooking for our family of 5. My parents both worked very hard outside the home and so my brothers and I each had our "chores" we were responsible for to help out. Mine included cooking, cleaning, laundry, etc. This dish, actually an earlier iteration of it without the brussels sprouts and using Russet potatoes, was something I came up with that was quick and easy. 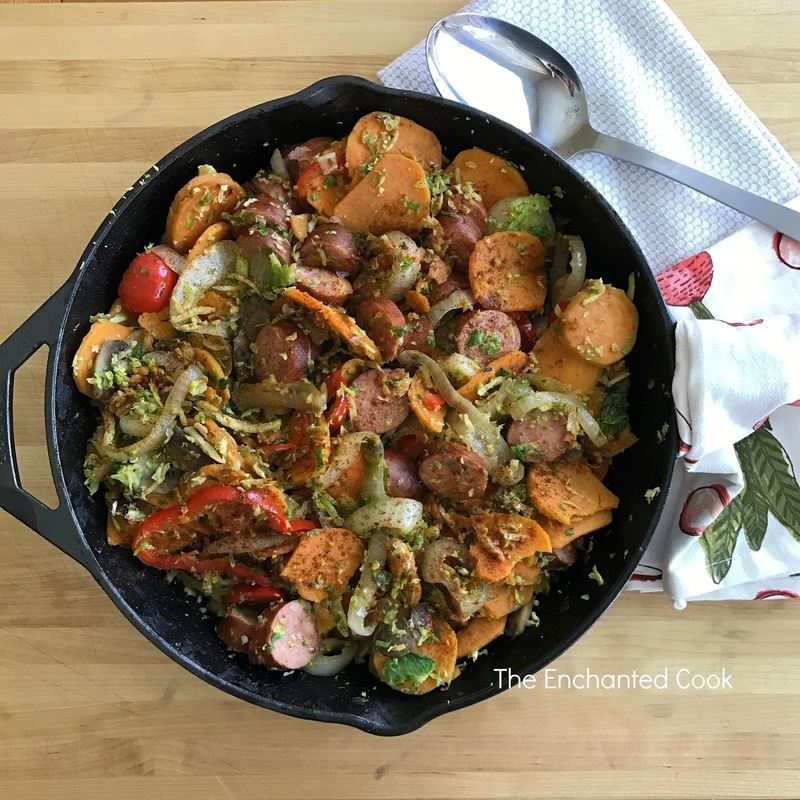 Throw everything in one pan and boom, dinner ready in a matter of minutes. Cleanup was quick (a must since I also did the cleanup!) and leftovers, since I'd make a big double batch, were just as tasty as the day before (saving me from cooking the next day!). Plus, this was extremely economical. 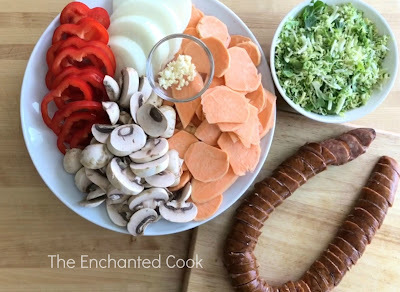 The biggest food cost was the sausage, which I'd slice thinly to make it stretch further, and then load up the veggies which are very filling and satisfying. A huge win in my book. Ok enough nostalgia - right to the recipe (video recipe here). 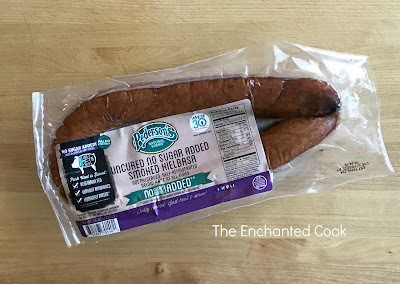 These days, I've upgraded the recipe to include organic veggies whenever possible, yams instead of white potatoes, and most importantly the sausage I use is an all natural, uncured, no sugar added kielbasa by Pederson's Natural Farms. It's totally Whole30 compliant as well as Paleo and Bulletproof Diet friendly. Prep all of your ingredients first to make cooking quick and easy. You could do this the night before, or even during your Sunday meal prep, if you like. Heat a large 12-inch cast iron skillet over medium heat and add the butter. Add the garlic and give it a quick stir. 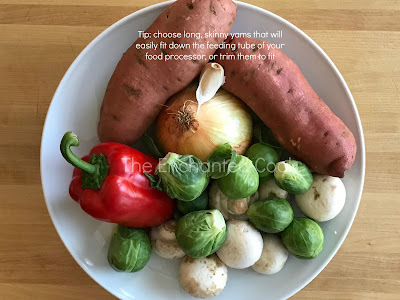 Add the yams, onion, bell pepper, mushrooms, Himalayan pink salt, garlic powder and onion powder - stir and cook for approximately 10-15 minutes or until crisp tender. Add the brussels sprouts and give it a quick stir, then stir in the sausage and continue cooking for 1 minute or until heated through. The sausage is already fully cooked. Finish with a sprinkle of paprika and sea salt. Serve right from the pan if you like! Where do you find the Whole30 Approved Kielbasa? It's available in some stores or you can go to The Simple Grocer and order it online. They offer free shipping and there's no membership fee. A big thank you to The Simple Grocer for sending me the Pederson's Kielbasa! If you haven't heard about them, they are a new online store making it simple for you to stay Whole30. I hope you'll check them out. 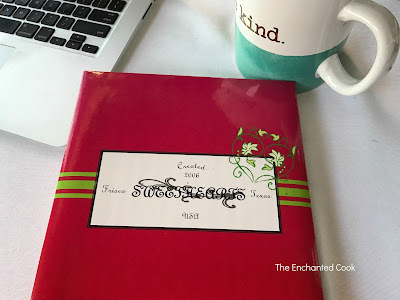 They are a new favorite resource of mine!